A compelling alternate history novel by the breakout author of WW II era alternate history Himmler's War and Rising Sun. 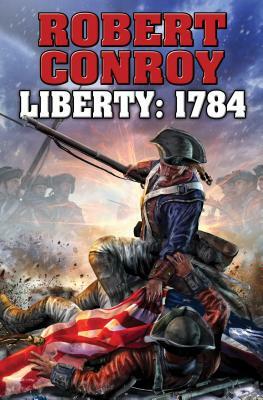 The British win the American Revolutionary War, and a desperate Washington and the American founders must make a last stand in an enclave called Liberty. In 1781, George Washington's attempt to trap the British under Cornwallis at Yorktown ends catastrophically when the French fleet is destroyed in the Battle of the Capes. The revolution collapses, and the British begin a bloody reign of terror. A group of rebels flees westward and sets up a colony near what is now Chicago. They call it Liberty. The British, looking to finish what they started, send a very large force under Burgoyne to destroy them. Burgoyne is desperate for redemption and the Americans are equally desperate to survive. Robert Conroy is the author a run of hugely popular alternate history novels, including Himmler's War and Rising Sun for Baen Books. His 1942, which is set within a Japanese conquest of Hawaii, won the prestigious Sidewise Award for alternate histories. Conroy has written for Military History magazine and has traveled extensively in Europe where he's taken a special interest in battlefields, historical collections and castles. After a first career in business, Conroy has turned his lifelong passion for writing and military history into an immensely satisfying new occupation. He is married, lives in southeastern Michigan, and, when not writing, teaches business and economic history at a local college.